Day 2 of Blogfest was also my birthday! The weather was rainy and cold in NY while we were there and we were not prepared with our clothes and shoes options (I always try my best to prepare ahead of time, but when I packed Accuweather read 70s and light rain). The first couple events were optional so we headed out to do some New York City shopping. My poor little red flats were SOAKED and they stained my feet bright red! I purchased a pair of boots that I wore the rest of the trip (and that I have been needing for a long time!). 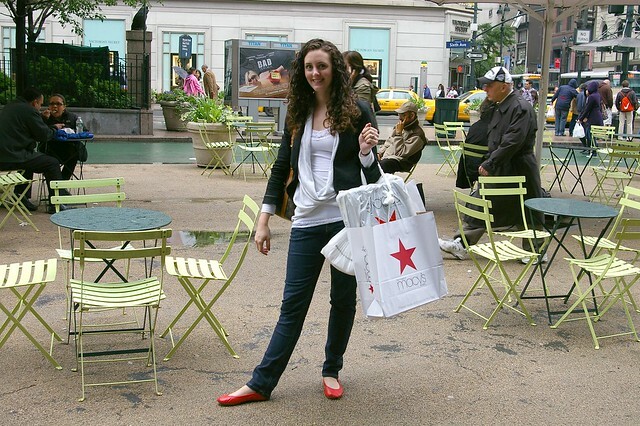 We went to Macy's and H&M.. two great New York City staples. We also stopped into Banana Republic and good thing we did - they were having a 40% off everything on sale and we scored big time! After shopping we went back to the hotel, got cleaned up and headed to the Barbara Barry event (although we missed her speak.. so sad). 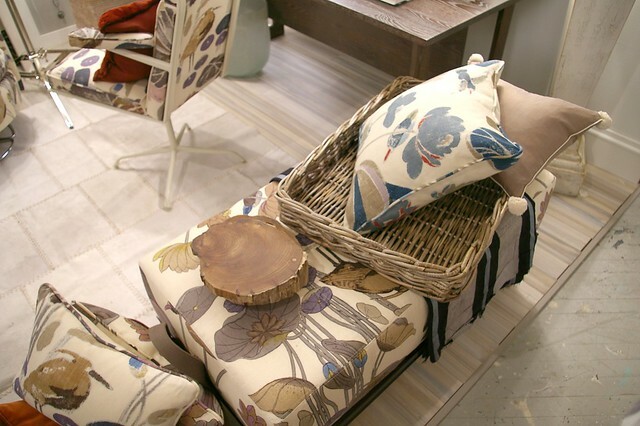 Then the buses took us to the Kravet event which was SO FUN! 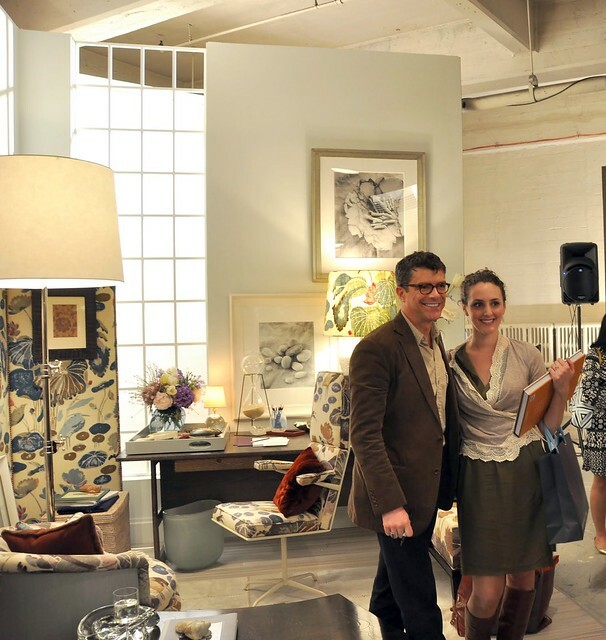 Pic of the awesome Kravet event. 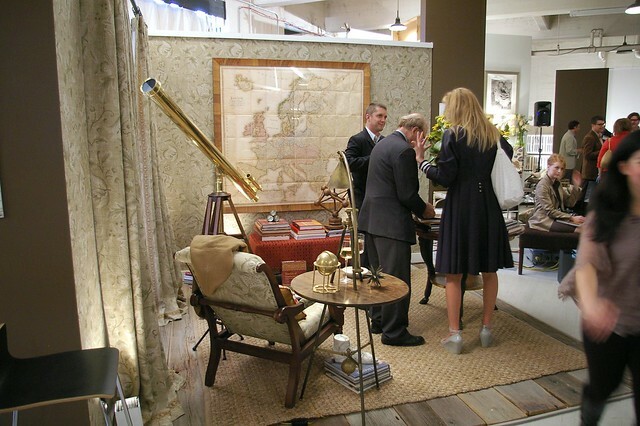 They had so many great designers there - and do you spy Michelle Adams? I got to meet her! They gave us this book to get signed by all the designers. We went around the room checking out their beautiful rooms they designed and had them sign our books. Amanda and Thomas :) Isn't he dapper? 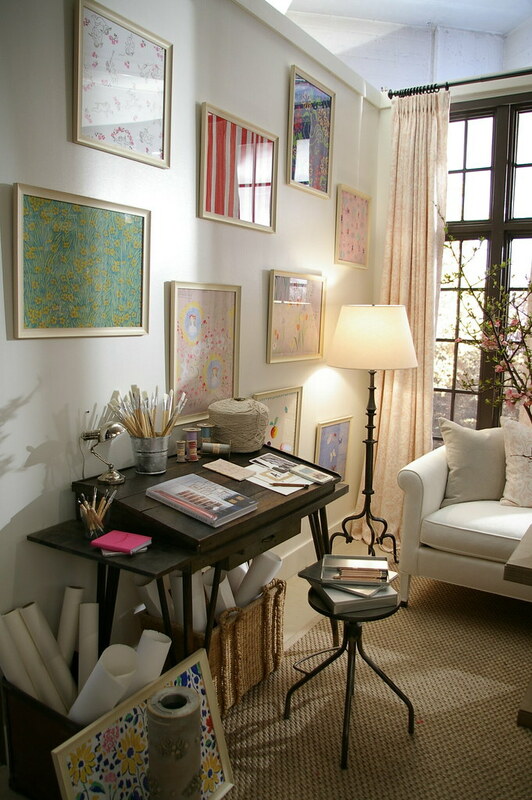 Eric Cohler - gorgeous room. He was amazing. I had a heart to heart with him about "matching" art like he used in this room. I asked him his thoughts about this because I recently read it was a no-no. Obviously he has no problem with it! 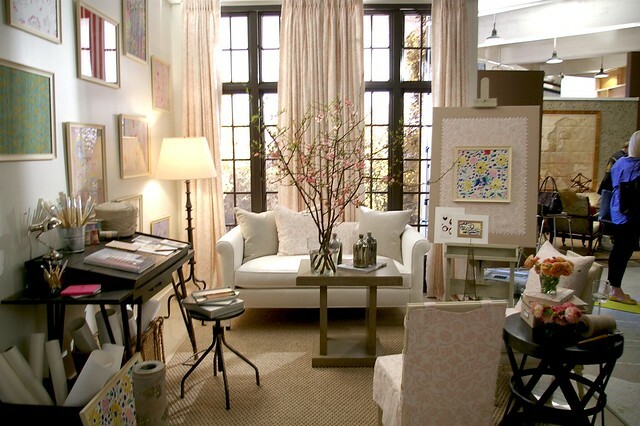 Suzanne Kasler's room was GORGEOUS!! I would love for my office to look like this! I loved the art.. it's all from Natural Curiosities. Such a beautiful study done by David Easton. He was so wonderful to talk to! I talked to Thomas O'Brien about it.. he loves using the fabric on the reverse (as you can see). Beautiful! We skipped the Sub Zero party after this party to go out to dinner for my birthday. 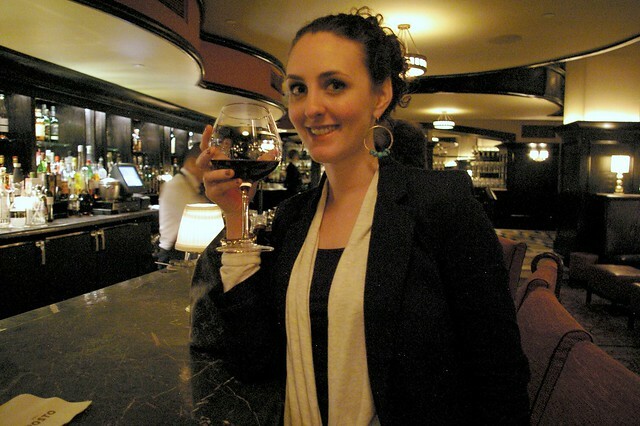 We headed to Mario Batali's Del Posto. It was SOOO GOOD. The best pasta I've ever had. It was a great day and definitely a birthday to remember!! Your pictures look beautiful! Sorry I didn't get to meet you at the event! 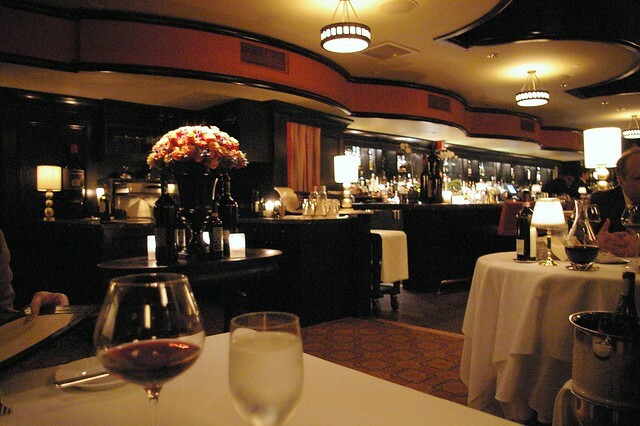 I love across the street from Del Posto! I think it is so pretty at night with all the candles on the staircase. Good choice! Love all of your great photos from your trip. So glad you had the best time! Looking forward to planning ahead and attending next year! Thanks for all of the photos! 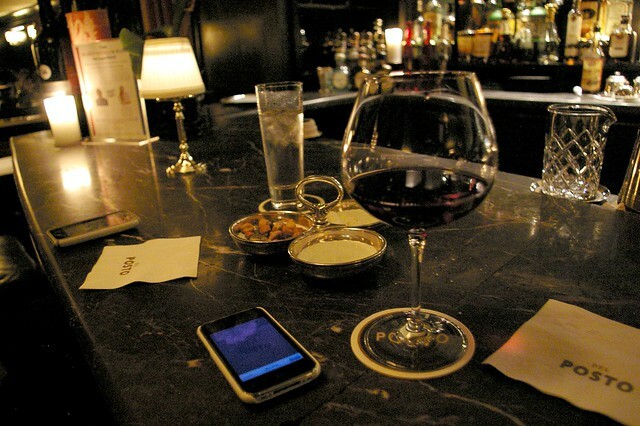 I stumbled upon your blog and have been reading away! How fun! So sorry about the shoes though! 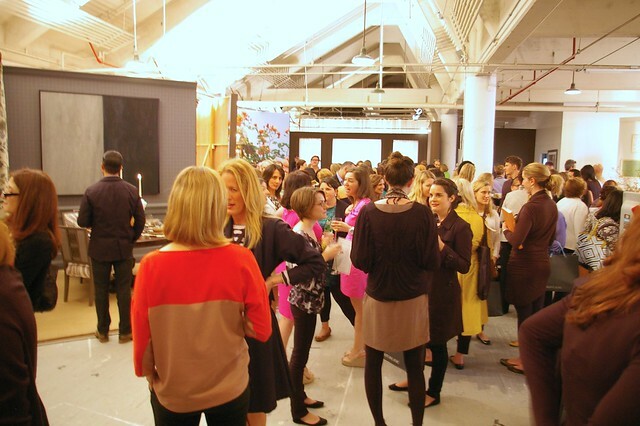 I love that I am a blur in the corner of your Eric Cohler photo! I'd love to hear more of what he said about the "matching art." 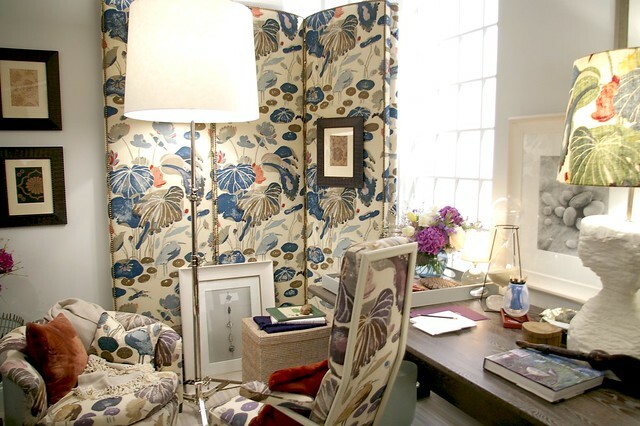 When a client has good art, I often build a room around it - so it ends up matching more than clashing - but the art drove the design as opposed to the reverse (which is when I don't care for it)! UM, amazing, amazing day! 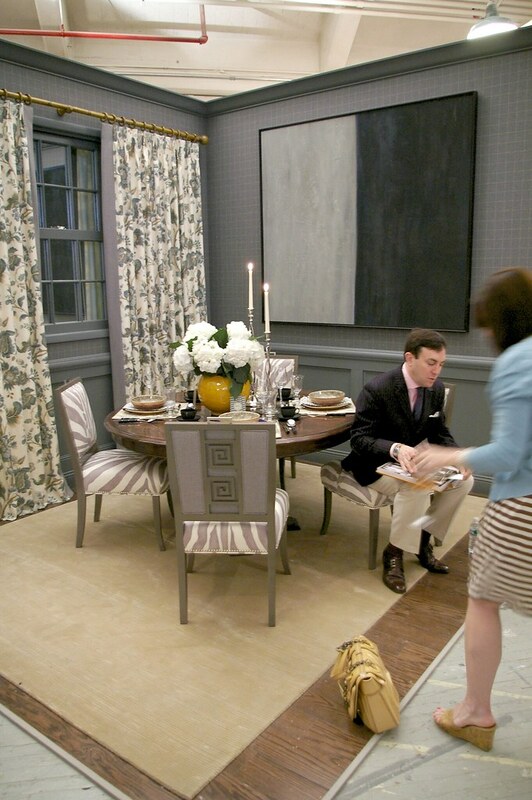 Those grey and white zebra stripe chairs are to die for. Precious pictures! Happy belated birthday Bryn! What does fabric on the reverse mean? What a wonderful way to spend your birthday! Happy belated b-day, Bryn!